Proprietary data-driven tool enables healthcare facilities to see how recruitable their positions are. The popular online tool now helps healthcare executives see where they rank at the state, regional, and national level when recruiting a specialty. These comparable analytics have proven to be accurate, and require just a few minutes of form input about the hiring organization and facilities. -Over 100 institutions from across the United States have benefited from the AMP Score™ to date. -The AMP Score™ version 2.0 lets you compare to your immediate competition for candidates. -Only takes a few minutes to complete. -Helps healthcare facilities understand where improvements are needed to hire the best candidates. 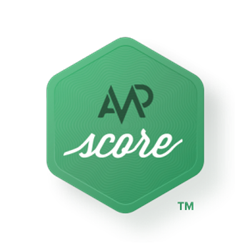 To take the free AMP Score™, visit AdaptiveMedicalPartners.com.